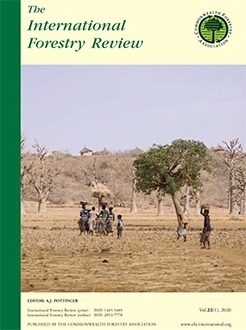 Reducing emissions from deforestation and degradation (REDD+) is an international effort to create financial value for the carbon stored in forests, offering incentives for developing countries to reduce emissions from land uses. Vietnam is engaged in the international REDD+ debate and is a partner to numerous multi- and bilateral agreements. Different actors have diverse interests in the REDD+ agenda, and in Vietnam, even though an authoritarian state, different views exist on what REDD+ should achieve. Through the analysis of media articles this study intends to understand how public debates on REDD+ are framed in the Vietnamese policy domain and how actors use the media to promote their interests. Reporting about a diversity of actors and interests, in particular related to expressions of equity concerns in media frames could reflect a growing inclusive political space. Our findings show that while state actors dominate REDD+ media frames, some limited space is present for non-state actors interests, but equity issue discussed still reflect predominantly state mediated concerns. However, caution is still required due to the limitations these findings come with. Authors: Pham, T.T. ; Di Gregorio, M.; Brockhaus, M.